Splash White Water Rafting is passionate about helping charities raise the vital funds they need to continue doing the great work they do. Splash White Water Rafting hosts numerous charity fundraising events each year and has a long history of working with and helping charities raise funds. Over the years we have helped a range of charities raise thousands of pounds in fundraising. We have an excellent range of activities available to assist the voluntary sector in raising funds through an inspiring adventure. Over the years Splash have worked with a number of different charities, below is two examples. Each year we run a special charity event for the charity BLESMA. These guys and girls have all served their country. Many have lost arms and legs in doing so. We try and make sure they have a good time, every time. 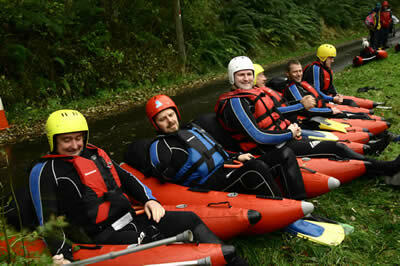 Kidney Research has been running a charity raft race and rafting adventure with Splash for almost a decade now. Check out our promo of their one of their three trips down the river in 2017. Over the last twenty years, we have worked with dozens of charities and their fundraisers. By far the most popular activity is white water rafting. We can run charity events from as little as ten people to five hundred people. The selection below is just some of what we can offer. Please ask if you have special requests. We have also run special events of people who have disabilities from minor to severe. To discuss a charity fundraising events with us just give us a call on 01887 829706 or drop us an email to [email protected] In our experience many organisers of these fundraising events are doing it for the first time and we are more than happy to help and guide based on our twenty years plus of working with charities.